There is something magical about the moon and I have been seeing it more often this month in the frigid early morning hours, as I let the dog out in the backyard or pick up my newspaper from the front stoop. 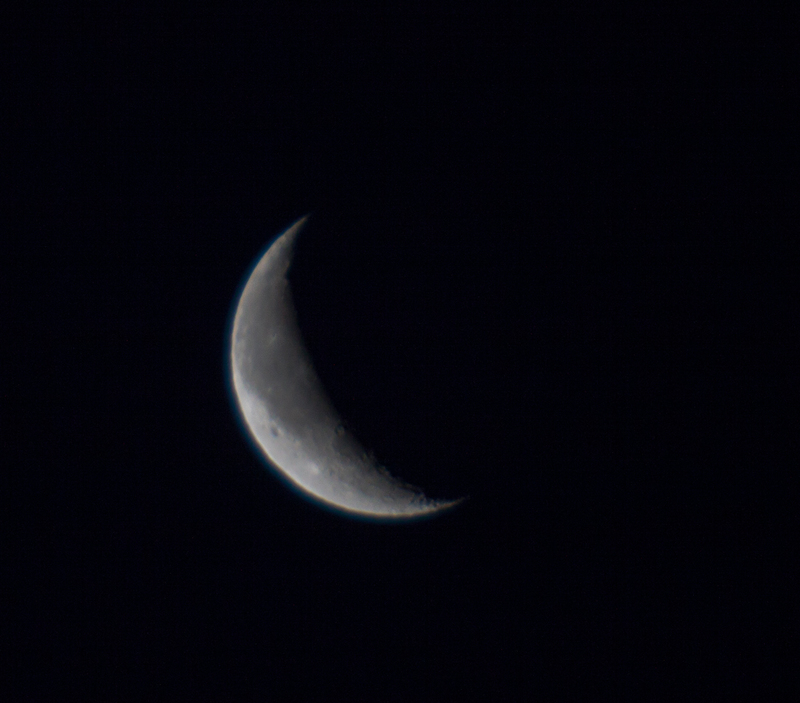 I took this shot of a sliver of the moon a few days ago, when the moon phase was somewhere between the last quarter and the waning crescent. I know I should use my tripod, but that would mean getting dressed warmly—it’s much too tempting to grab a few quick shots and to rush back into the comfort of the heated house.